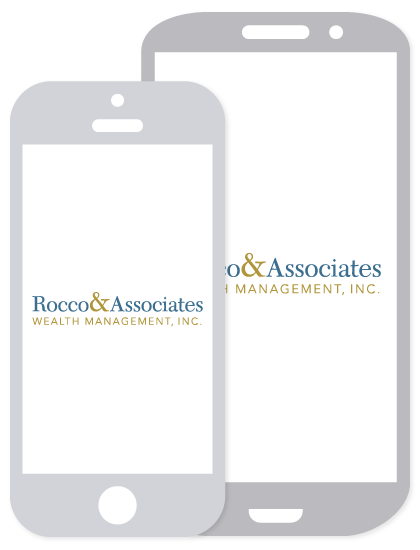 Around the Office - March 2016 | Rocco & Associates Wealth Management, Inc.
Well folks it’s that time of year again when the Internal Revenue Service comes to call. This year with April 15th falling on a Friday, the filing deadline for IRS tax returns 2016 is actually Monday, April 18th. As a note, regardless if you plan on filing an extension, all qualified retirement plan contributions, including those going to fund both Roth and Traditional IRAs, need to be submitted in line with this deadline and not with your extended filing submission. Total annual contributions to your Traditional and Roth IRAs combined cannot exceed $5,500.00 (under age 50) and $6,500.00 (age 50 and older). Traditional IRA contributions are not limited by annual income as long as you or your spouse are not covered by a retirement plan at work. Roth IRA contribution limits and eligibility are based on your modified adjusted gross income (MAGI), depending on tax-filing status. Be sure to give your accountant or other tax professional enough time to complete any research to insure compliance with these IRS rules. If you need a referral or have any questions, please do not hesitate to reach out to our office. Please help us congratulate Eric Johnson on his new role as Chief Operating Officer of Rocco & Associates. The move is effective March 1st and is part of a larger plan to transition the 40 year old firm to the next generation, while providing stability to the growing client base. Charlie, the firm’s former COO, assumed the CEO role in July of 2015 and will continue to focus on guiding the firm’s strategic mission. “It’s a very exciting time for the firm,” said Rocco. “As a growing business it is important that we not only have the right people on board, but we have the right people in the right roles. Eric’s experience crafting the overall message of the firm makes him the perfect candidate to run our day-to-day business.” Be sure to wish Eric well next time you are in the office! As many of you know, over the past few years our firm has been a supporter of the Connecticut Food Bank, giving back financially and through volunteer work. The food bank plays a large role in feeding the less fortunate of Fairfield county, and they even have a regional distribution center located right here in Fairfield. Our ongoing volunteer efforts support the Kids’ Backpack Program. This program aligns the efforts of the Connecticut Food Bank with the local public school systems, teachers and staff to identify students who are at risk of hunger when they do not have access to school meals. These students are provided with kid friendly food discreetly distributed at the end of each week. But first the meals have to be packed up, so when recent weather played havoc on the normal volunteer schedule last month, Eric Johnson and our new Financial Operations Intern Eric Rasmussen were quick to step in. They rolled up their sleeves and went down to lend a hand at a moment’s notice. In fact it was Eric’s Rasmussen first week on the job with Rocco & Associates and he delivered! All told all of the lunches were successfully packed and delivered on time, great job team! Diana joined Rocco & Associates as a Business Development Intern for the spring semester of 2016. Diana is currently a senior at Quinnipiac University and is pursuing a BS in Marketing. She looks forward to applying her academic knowledge as well as her strong interest in finance at Rocco & Associates. Diana has spent her last few summers working at the World Ice Arena located on the site of the 1964 World's Fair. Diana is originally from Long Island, New York and in her spare time enjoys hiking, kayaking, and cooking.